25' Parallel Printer Cable. 25 Pin Male to Male Cable. New. Adaptec 2028400 6FT USB 2.0 Cable. 24K Gold Connectors. APC 0728 DB25 Female to DB25 Male. UPC: 788597002293. Apple Toner Cartridge M1960G/A LaserWriter Select. OEM. New. Belkin DB25 F4A251 Female to Female Adapter. 722868102503. Belkin F2L087 Serial Port Adapter. DB25 Female to DB9 Adapter. 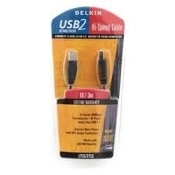 Belkin F3D111-06 6' DB25 Male to Male Serial/Parallel Cable Belkin F3U133-03 USB 2.0 3'/0.9m High Speed Cable. New. Belkin Serial Adapter. F2L089. DB9 Female to DB25 Female. New. Brother DR-400 Replacement Toner Cartridge. Black. New. Brother TN-460 Black Toner Cartridge. New. Brother TN-560 Black Toner. New. Canon Bubble Jet S400 Canon BJC-6000. C-03-BL. Black New. Canon Bubble Jet S400 S800, Canon BJC-6000. Cyan. New. 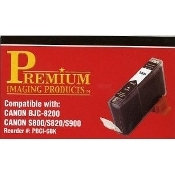 Canon Bubble Jet S400, S800 Canon BJC-6000. Magenta. New. Canon Bubble S400 S800 BJC-6000 Yellow Ink Cartridge. New. Canon FX3 Black OEM Toner Cartridge. New. FX-3. Canon FX4 FX 4 Toner Cartridge. New. Remanufactured. Data Switch. DB25 A/B. New. DB25 In-Line Surge Protector. New. DB25 Female to DB25 Male. Dell 2130cn Color Laser Printer Drivers and Utilities DVD. Dell 310-5417 Laser Toner Cartridge. Remanufactured. Dell 310-5731 OEM 4000 Page Cyan Toner. K5364. Dell K5361 OEM 4000 Page Yellow Toner. 310-5729. New. Dell K5363 OEM 4000 Page Magenta Toner. 310-5730. New. Dell Laser Priner 3100cn Owners Manual With Drivers CD. Dell Magenta Toner. K4972. 3000CN, 3100CN. OEM. CT200483. Dell OEM 4000 Page Black Toner. K5362. 3000CN 3100CN. Dell T6412 Cyan Toner Cartridge. OEM. 3000CN, 3100CN. Dell Yellow Toner. K4974. New. 3100CN. OEM. CT200484. Digital Equipment LPSXX-AD PrintServer 20/30 Printer. New. Genicom 2550772-0001 microLaser OPC Drum. New. HP 1005 Compatible Toner Cartridge. New. HP 1300 Q2613X Series Black Compatible Toner Cartridge. New. HP 4, HP 5 Premium Compatible Laser Toner. HP 49A Black Toner. New. Q5949A. HP 51604Av Black Inkjet Print Cartridge. New. OEM. HP 75A LaserJet 92275A. New. Retail Box. HP 91A LaserJet lllSi/lllSi-ps/4Si Toner. New. Retail Box. HP 92274A LaserJet 74A Black Toner Cartridge. Black. New. HP 92291A 91A Toner Cartridge. New. HP 92291A Toner for LJ IIISi, 4Si Printers. New. HP 92298R, LaserJet 4/4+ Compatible Toner Cartridge. HP C3103A LaserJet Yellow Toner Bottle. New. HP C3120A Toner Collection Kit. New. OEM. C3120-60001. HP C4191A Black Cartridge. New. HP C4194A Yellow Cartridge. New. HP C9701A Compatible Toner Cartridge, Cyan. HP CB402A Yellow LaserJet Toner Cartridge. HP Color 0M02926 Magenta Toner Cartridge. HP J3258A JetDirect 170x OfficeConnect Print Server. HP Laser Jet 4, 4M, 4+, 4M+ Black Toner.789399904006. HP Laserjet 98A Print Cartridge. 92298A. OEM. New. HP LaserJet 98X Black Toner Cartridge. New. HP LaserJet Compatible 4200, 4250, 4300, 4350. New. MICR. HP LaserJet CP3525 Cyan Toner Cartridge. New. HP LaserJet CP3525 Magenta Toner Cartridge. HP LaserJet CP4005 Black Toner. New. HP LaserJet CP4005 Cyan Toner Cartridge. New. 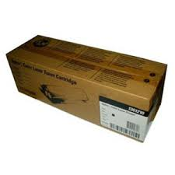 HP LJ 1000, LJ 1200 Series Laser Toner Cartridge. HP Magenta LaserJet CP4005 Toner. New. HP Magenta LaserJet CP4005. New. HP P2015A Compatible Laser Toner Cartridge. HP Q2612A Compatible Black Cartridge. New. HP Q8842A Laser Photo Paper. Glossy. 100 4" X 6". New. HP vs15/vs17/vs19. f1705/f1905. LCD Monitors. CD. HP-UX 11i Version 1 Software Pack. 5012-7841. New. Image Writer Toner 8713-4. New. Konica UA930862 Black Toner Cartridge. New. Kyocera Mita Copystar Black Toner Kit. TK-808K. New. OEM. Kyocera Mita Copystar Cyan Toner Kit. New. OEM. CS-C4008 Kyocera Mita Copystar Magenta Toner Kit. TK-808M. New. OEM. Kyocera Mita Copystar Yellow Toner Kit. TK-808Y. New. OEM. Lexmark 1250 Optra S Compatible Black Toner Cartridge. 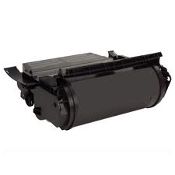 Lexmark 1250N Optra S High Yield Toner Cartridge. New. 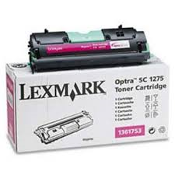 Lexmark 1361210 Black Optra C Color Laser Printer Cartridge. Lexmark 1361213 Optra C Yellow Color Laser Printer Toner. New. Lexmark 1361215 Optra C Photoconductor Unit. New. OEM. Lexmark 1361752 Cyan Laser Toner Cartridge. New. OEM. Lexmark 1361753 Magenta Laser Toner Cartridge, New. OEM. Lexmark 1361754 Yellow Toner Cartridge. New. OEM. 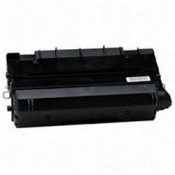 Lexmark 15W0903 Black Toner Cartridge. New. C720. Lexmark 32 Print Cartridge. Black. 200 Page. New OEM Lexmark 33 Color Cartridge. New. OEM. 200 Page Count. Lexmark LX-20K1400 Laser Printer Cartridge. Lexmark LX-C5242CH Cyan Toner Cartridge. New. 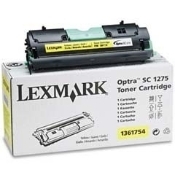 Lexmark Optra S 1250, 1250N Black Laser Toner. Lexmark T520 Black Toner Compatible Cartridge. Manhattan 360067 Printer Cable. 3m / 10 Foot. Manhattan 360197 Printer Cable. DB25(M) to Cent36(M) 6 Foot. Media-To-Go USB 1.1 to Printer. LUB-10P1 USB to Parallel. New. Mita 37041013 Toner DC-1205. New. 1 Cartridge. 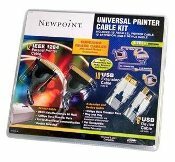 Newpoint 02035 Printer Cable Kit. 3 Cables. New. 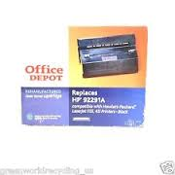 Office Depot Replaces Canon H11-6431-220; FX-6. New. 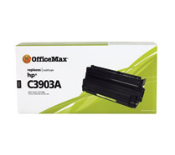 OfficeMax C3903A Toner Cartridge for 5P and 6P. New. OKI 52106201 Black Toner Cartridge. OkiPage 4W OkiOffice 44. OKI 52111701 Type 6 Genuine Black Toner Cartridge. OEM. New. Okidata 52104201 Black Laser Toner. OL400 OL800. New. Panasonic FQ-TA10 SuperMagnefine Dry Toner. OEM. New. Panasonic FQ-ZA25 Developer. New. OEM. Panasonic KX-P5400 KX-P4400 Toner Kit. New. 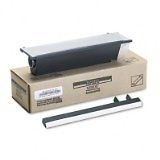 092281041544 Panasonic UG3313 Compatible Toner Cartridge. New. Pitney Bowes 416-4 Developer. 22.9OZ. Bottle. Black. New. Pitney Bowes. 416-8. Photoreceptor Drum. New. OEM. Pitney-Bowes 816-3 Toner Cartridge. New. Ricoh Type 70US Toner Cartridge. New. Samsung SCX-4216 Compatible SCX-4216D3 Black Laser Toner. Sharp Compatible FO-45DR Drum Cartridge. NEW. Tektronix ColorStix Phaser 340/350 Printers. Black. New. Toshiba TK-05 01083970. TK05/01083970. Black. New. OEM. Unisys 75-1991-902 Cyan Laser Printer Toner Cartridge. New. Unisys 75-1992-900 Magenta Toner. OEM. New. UDE9712-C. Unisys 75-1993-908 Yellow Laser Printer Toner Cartridge. New. USB 2.0 A Male to Female Extension. Cable 3FT. New. Woods Long Distance Parallel Printer Cable. 5973. 50'. 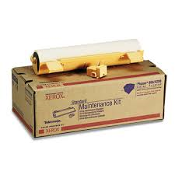 Xerox 016193200 Extended Maintenance Kit. New. Phaser 860/8200. Xerox 106R00365 WorkCentre Pro Toner Cartridge. New. OEM. Xerox 106R404 WorkCenter Pro Toner Cartridge. New. OEM. Xerox 5R331 Magenta Developer Cartridge. OEM. New. Xerox 5R578 Developer Cartridge Kit. Black. 30000 Page. Xerox 673K42334 Waste Toner Bottle. New. Empty. 093K03411. Xerox 6R333 OEM Black Toner Cartridge. 095205603330. Xerox 6R832 Cyan Dry Toner Ink. New. OEM.